Saturday morning started like most race days do recently. Alarm goes off at just before 5 am, I’m on the road by 5:30 and sometime between leaving the house and arriving at the race venue, the sun comes up. I try to get a full night’s sleep, but I’m happy if I get more than 4 hours of shut eye (I got 3 tonight). While driving and eating my breakfast, I usually check the temperature. When the Elite heat takes off sometime around 8 am, anything above 50ºF is cause for celebration. I hate the cold starts. At the venue, I go through the whole routine of checking in, stretching, peeing, hydrating and peeing again. 15 minutes before the start, I line up, try to relax and prepare to run the race. Smoke bomb. Run. Breathe. Climb. 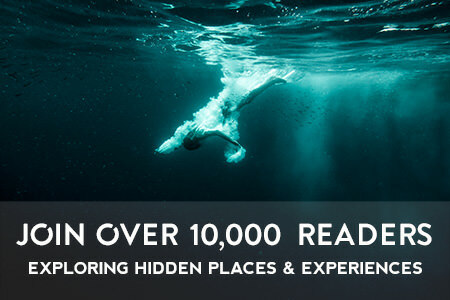 Breathe harder. Crawl. Cold. Push. Breathe. Push. Jump. And it’s over. I’ll probably feel quite sore the next day, but the endorphins feel too good at that moment. I do pretty well, but convince myself that I could have DEFINITELY done better if I didn’t make accidentally miss that spear throw, or slowed down unnecessarily before each obstacle, or god forbid, get held up during behind the other racers up that single-lane trail climb. I should have finished higher, but it was out of my control – so I tell myself. On Saturday at the 8.9 mile Spartan Super in Vail Lake, California, I finished in 83rd place with a time of 1 hour 51 minutes. 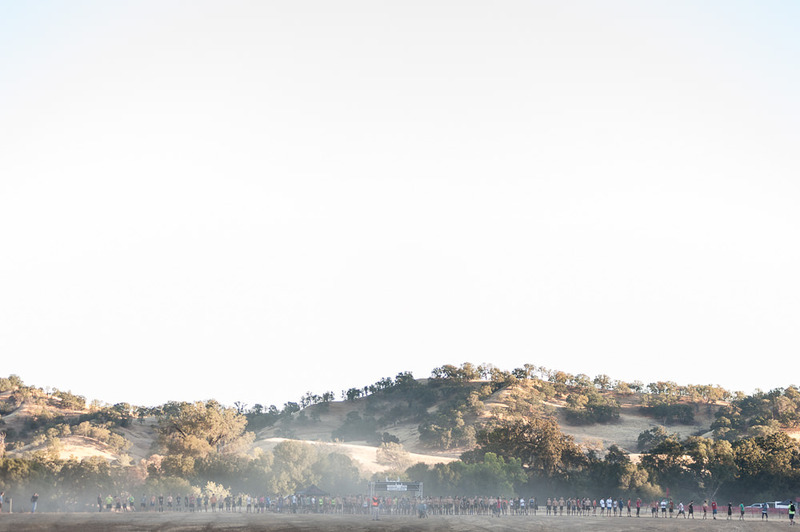 I was hoping for a top 30 finish after coming in 39th at the Malibu Sprint and 13th at the AT&T Park Stadium Sprint, so I was a little disheartened by the results. I started trying to convince myself, once again, that I could have done better. I finished well behind other racers I’ve beaten recently, so it must have been the course, or the dust, or the lack of sleep that slowed me down. 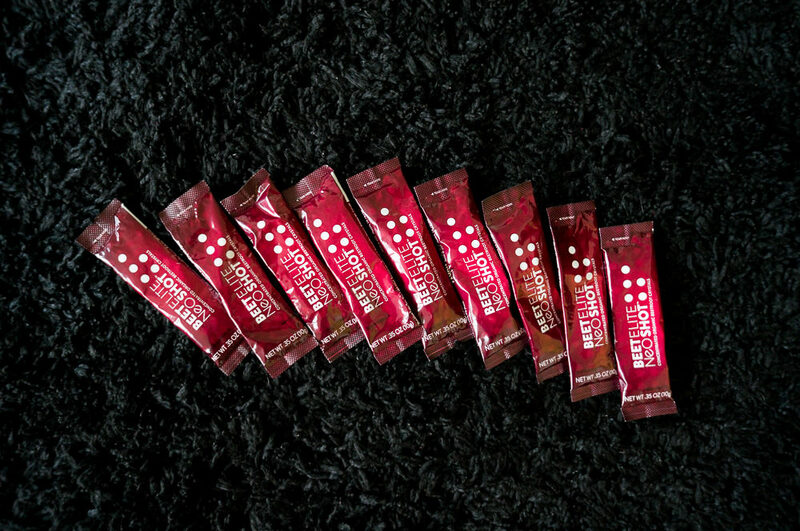 Maybe I just needed a shot of Beet Elite. It just couldn’t have been me. As I reflected on this throughout the day and onto Sunday, it dawned on me that the only real excuse I had was that I simply wasn’t ready and my preparations were inadequate to be competing at the Elite level. This disappointing and, initially, demoralizing result was a wake-up call that I was starting to get complacent with my training and nutrition – perhaps even a bit too self-assured. This was all starting to become a routine and I had replaced that hunger and drive from a few months back with something easier and more comfortable. In fact, sometimes I replaced it with an extra serving of ice cream or a warm croissant. By sometimes, I mean everyday. I put in the runs, the high-intensity sets, and the long workouts, but is it enough? I’m training longer, but I need to be training smarter. As I struggled up those hills, it seemed pretty obvious that I needed to work on climbing and my quads – and yet, I never change up my leg workouts that I do maybe once or two a week at best. So there’s the gut-check moment. 2015 is here. 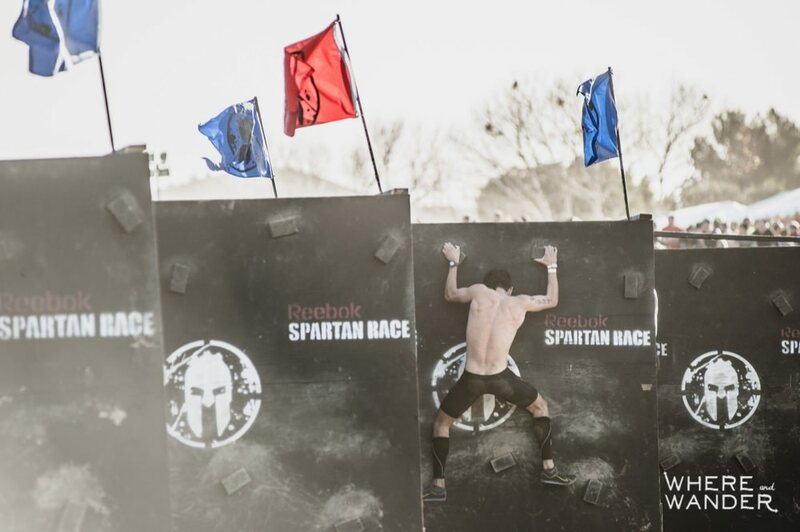 The obstacle racing season has just begun, but it’s already looking to be harder and tougher than in previous years. 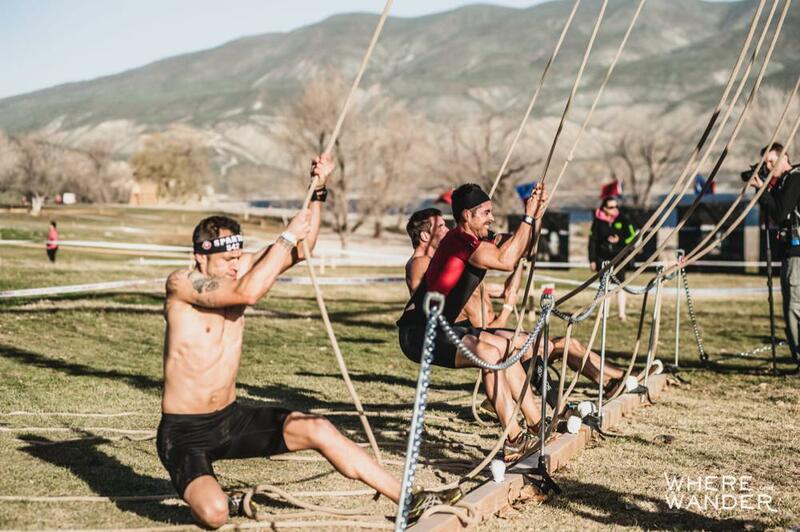 At Lake Vail, Spartan Race introduced new challenges, and modified some of their classic obstacles to make them even tougher. Racers of all sorts are coming in stronger and faster than before and if I don’t match that effort and intensity, I’ll be lucky to stay in the top 100. It’s time to revisit my training plan and figure out how to get improve or give up the spot for someone else to run at 8 am. Over the next few weeks, I’ll be interviewing some of the Elite athletes of OCR and will try to learn about what separates them from the pack? 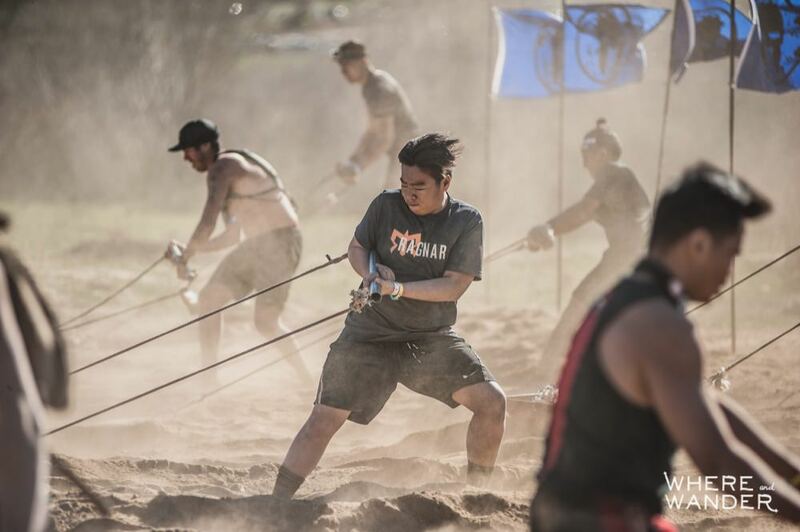 I’ll put those tips into a plan and document my journey and progress over the next few months to see if I can keep myself in the hunt for a Spartan World Championship coin. 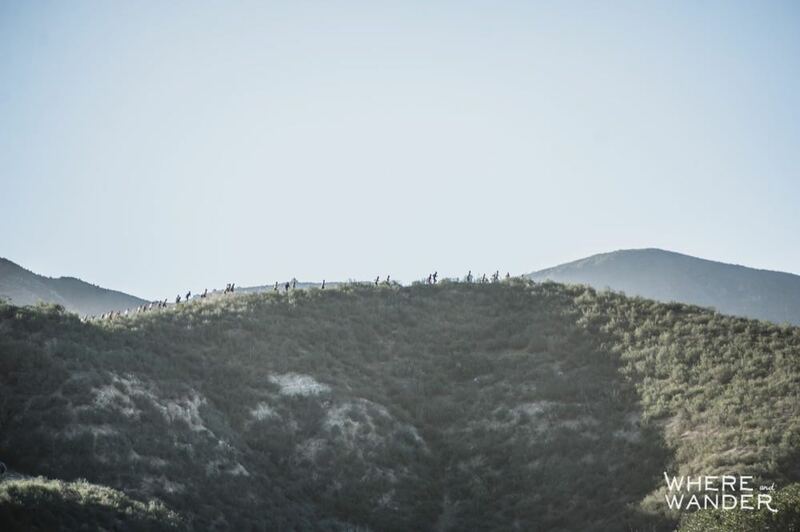 Once again, Spartan Race returned to Vail Lake for their Southern California races, but modified the race course enough that it felt like a completely different race. It was no surprise that the hilly terrain itself would be one of the biggest obstacle. They also introduced a few new obstacles and modified others to increase the difficulty. Although it’s just a sample of one, I feel like the course was designed to balance out the advantage of pure runners, especially on a longer distance course. And I think that this is the direction Spartan is headed. 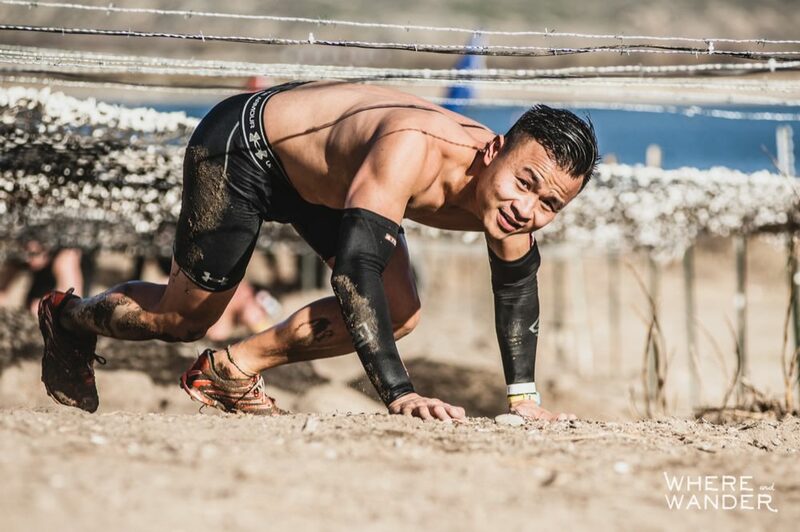 In the past, any time advantage you’d have from quickly completing an obstacle would easily be wiped out if someone simply ran just a bit faster than you. That swing kick on the rope climb or the flip over the A-frame cargo might look cool, but it was only saving you a couple of seconds. A 5 minute miler would gain at least several minutes at a time versus most of the field . 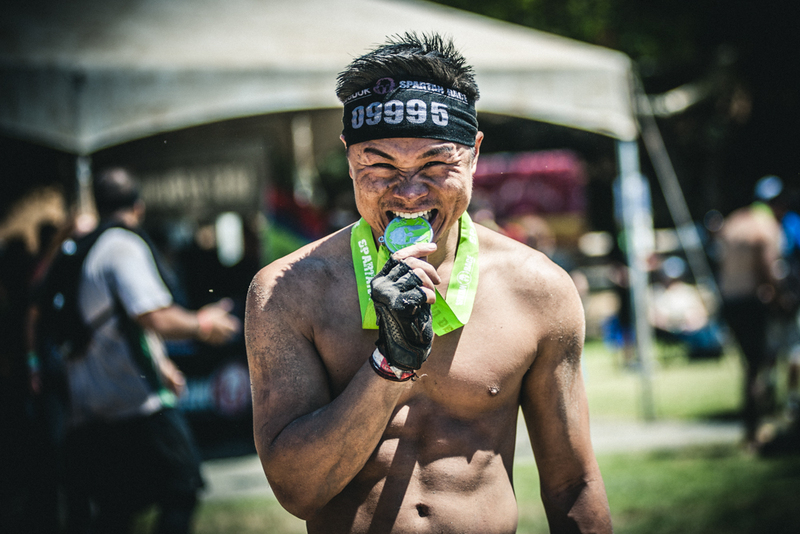 Over the course of a 13 mile race, you can take a penalty on practically every obstacle and still win comfortably. 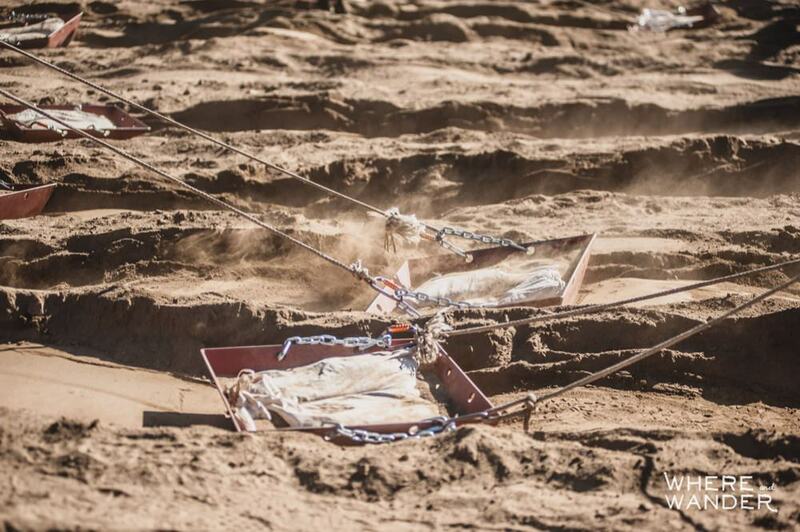 With the Hercules Hoist now weighing somewhere in the vicinity of 150 pounds and the new Spartan Sled drag and pull feeling like you are dragging upwards of 200 pounds across the dirt, strength is just as important as speed. 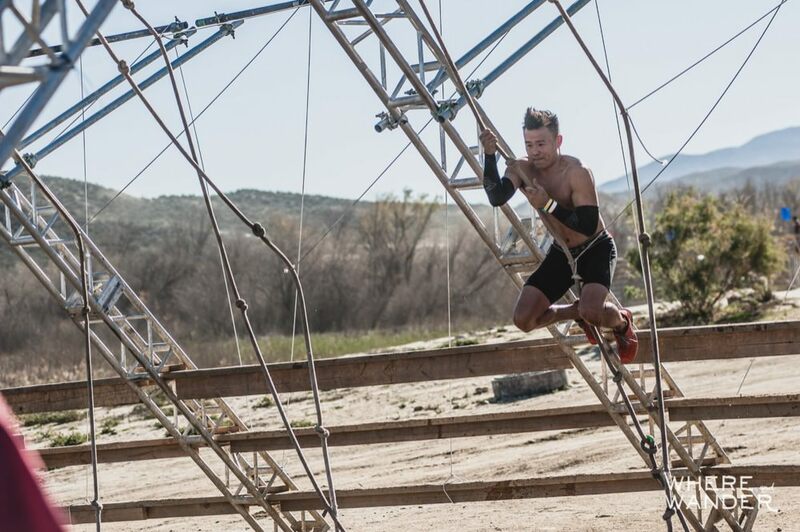 Personally, this is hell of me and I noticed a number of bigger Elites were relegated to the burpee section at this obstacle. Weighing 140 pounds, it is near impossible for me to do the hoist and I found myself screaming at the slow-moving sled while at least 10 bigger guys arrived and pushed past me before I could drag it across that line. Looks like I’ll be working on my rows and lats for the Hoist and working on some football style sled drills for the Spartan sled. To balance all that heavy lifting, new obstacles like the Z-wall traverse, the multibar, and the rope swing tend to favor the light and more agile racers. 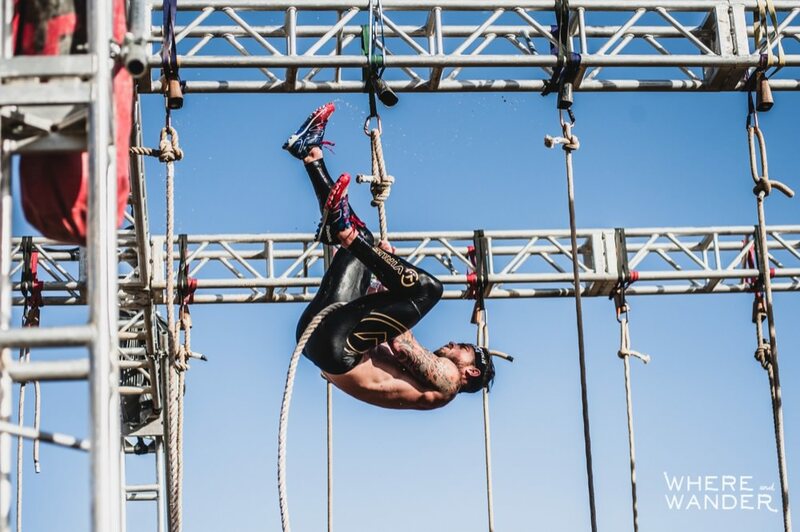 Grip strength, weight distribution and technique is definitely rewarded with these obstacles. With the rope swing, I found the key was to get as high up on the rope as possible and make sure it’s taut before you swing. Take a bit of a jump upwards to add some weight and momentum to the swing and be sure to tuck up your legs to avoid splashing the water. I also love that the Tyrolean Traverse has been introduced in a dry setting. Drawing from the Death Race playbook, Spartan added a memory challenge requiring racers to memorize a sequence of words and numbers and having to recite that back at some point later in the race. After committing my code, Mike-025-5733, to memory, I completely forgot about it over the next few obstacles and was lucky to avoid the 30 burpee penalty when it came time to recite back the code. I like this emphasis on the obstacle part of obstacle course racing. With more obstacles to challenge racers, it looks like technique and efficiency is back in play. In the Men’s Elite race, Glenn Racz took 1st in a blistering 1:10:51, followed by Isaiah Vidal and Matt Novakovich, in 1:12:32 and 1:12:59 respectively. 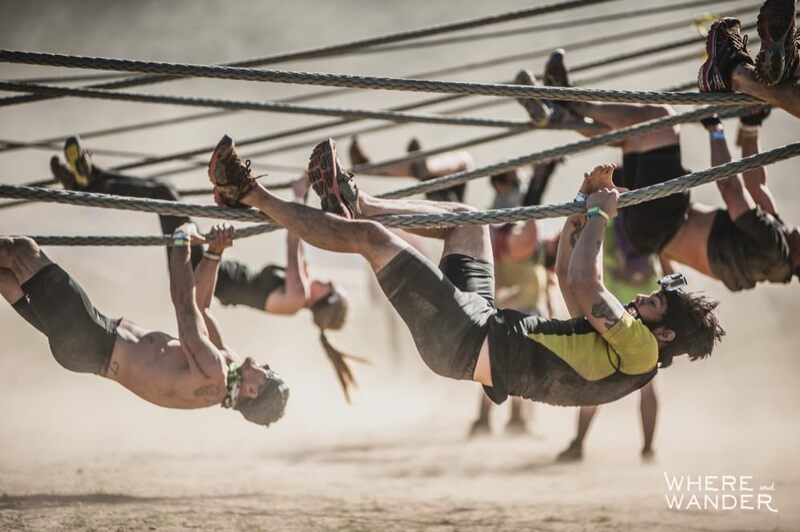 When the top 3 spots are decided by about 2 minutes, making a mistake on any of these obstacles could be devastating. Overall, even though it doesn’t benefit me, I’m happy with the direction that Spartan is headed. I like the emphasis on strength and I would like to see more burpee-triggering obstacles. Taking that one step further, I would love to see divergent paths for failed obstacles. Miss the spear throw and you have to run up a longer, steeper path. Can’t get the bags hoisted and you have to bear crawl 100m. I hope you’re reading this Spartan Race directors. 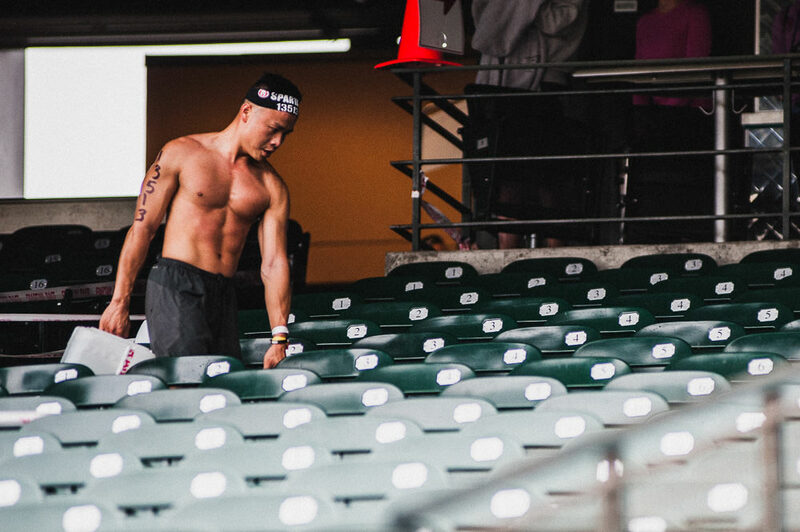 If you’re looking at photos from the Elite race, those were taken by my awesome little brother (while I was racing). Here’s a shot of him completing the Super later on in the day.